You order: This could be for you in the office at lunch time, dinner for the family or a party you host. 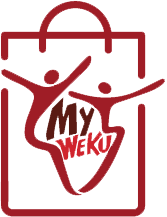 What is Weku Kitchens ? We are Ghana's first online only restaurant. Our professional Chefs and cooks use the freshest ingredients (including our meat and chicken) sourced ourselves right here in Ghana!